Mercer’s Ivan Tan, senior total rewards consultant; and Kulapalee Tobing, Singapore career products business leader take stock of the key labour market trends in Singapore. The global economy in 2017 has been rejuvenated after a lacklustre 2016, particularly due to Asia Pacific’s continued upward trajectory. 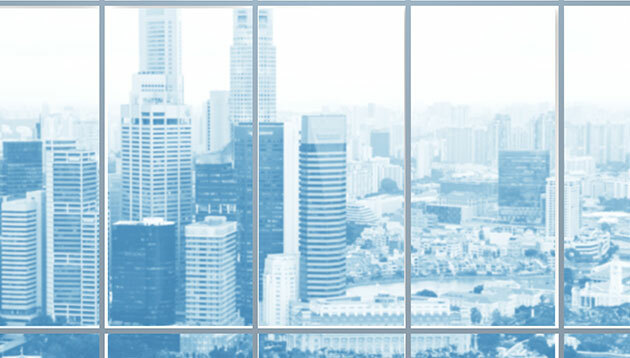 Although Singapore’s GDP growth was initially disappointing, with year-on-year growth for the first quarter decreasing from 2.7% to 2.5%, stronger growth of 2.9% in the second quarter puts Singapore on stronger footing to achieve total GDP growth of 2%–3% this year. The fragility of Singapore’s economy has created challenges in the labour market. At a time when businesses need to stay competitive, leaders are strongly compelled to be more prudent in their spending. 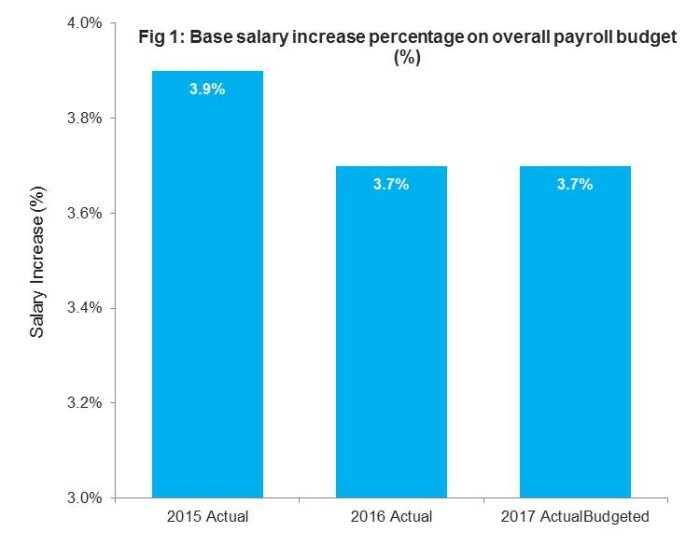 Average 2017 base salary increases (actual/budgeted) excluding salary freezes, remain consistent with previous years at 3.7%, according to Mercer’s 2017 Asia Market Pulse Survey results. However, projected rising inflation could depress wage increases, and most employers are not planning to increase HR budgets for 2018. Even with this challenging environment, HR needs to develop strategies that drive optimal performance so they can stay competitive. Ever-increasing digitalisation has notably transformed the way many businesses operate, as companies are now able to leverage technology to stay agile and address cost pressures by making strategic choices without adding undue administrative burdens to other teams. Some areas need more attention than others — for example, the multi-generational workforce remains a challenging issue for HR professionals; although Millennials offer fresh and innovative ideas, they also have different expectations and values than older workers. One area of interest to all employees is compensation. Employees cited fair and competitive pay and opportunities for promotion as their top priorities in a recent Mercer Talent Trends survey — 95% of employees want to be recognised and rewarded for a wider range of contributions. Although an inherent gap remains between employees’ desires and companies’ current reward policies, more than two-thirds (67%) of employers said they expect to change their job evaluation methods in response to this shifted focus. In today’s talent-led economy, companies must differentiate themselves to attract and retain the best talent. HR professionals need to pioneer the change by taking a leading step in redesigning and redefining reward policies. A vital compensation component often mentioned is variable bonus, a short-term incentive used to reward employees for performance that exceeds expectations. 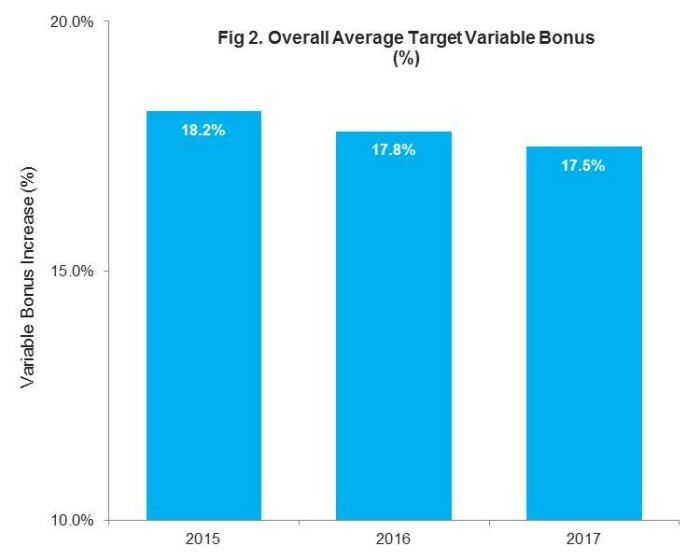 Mercer’s findings suggest that the target variable bonus has been decreasing over the past few years —which starklycontrasts with employees’ expectations for higher bonuses. The Mercer Asia Market Pulse Survey revealed that the overall average target variable bonus payout for 2017 is modestly projected at 17.5%. Similarly, sales incentive average targets are low at only 18%, decreasingby 0.5% from 2016 figures. The life sciences industry provided the top sales incentives due to expected growth in the aging population and the increasing prevalence of chronic and communicable diseases. According to Mercer’s 2016 Total Remuneration Survey, pay parity between industries and functional premiums are prevalent in today’s labour landscape. With the need for more transparency in reward policies, organisations need to be able to justify these premiums to maintain internal equity. To triumph in today’s talent war, HR professionals need to understand the different reward strategies competitors have adopted. Deriving actionable insights from talent data is a core step in empowering in today’s disrupted, diverse and dynamic workforce. Organisations should strive to secure the perfect mix of employees with skill sets relevant to support stronger growth. Across all industries, organisations have indicated plans to increase their headcount for cross-function jobs in sales and marketing, technical/engineering, and finance and accounting to balance technical and nontechnical skills. Innovation, predictive analytics and digital leadership are among the top skills that organisations consider essential to thrive. Nearly one in five companies are using retention bonuses to keep talent with these specialised skills from leaving. Greater talent mobility, however, is leading to greater voluntary attrition. 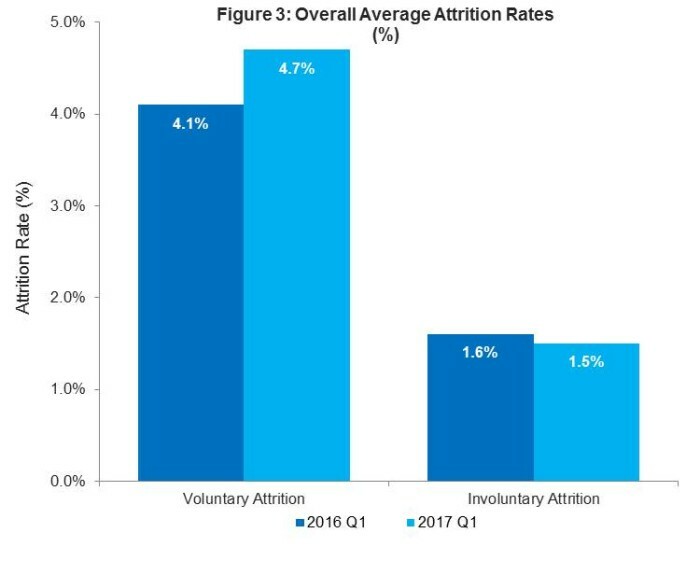 According to the Mercer Asia Market Pulse Survey, overall average voluntary attrition for the first quarter of 2017 was 4.7%, compared to 4.1% for the same period in 2016. The retail and wholesale industry faced the highest level of attrition, possibly with younger workers exploring opportunities in other better-paying industries, amongst other factors. Businesses looking to grow need to tap into their employees’ potential by allowing them to thrive, redesigning structures to enable employees to do more of what they do best. A great way to gain new solutions to pressing challenges is to form teams that represent multiple generations and cultures, so organisations can learn from various perspectives. Encouraging collaboration rather than competition within the workforce can enhance productivity. HR professionals also require sound analytic tools, instead of simply relying on instincts honed from past experiences. Unfortunately, many companies have made slow progress — 67% of companies have plans to start tracking metrics in the future, but 65% expressed challenges related to inaccurate and inconsistent data coming from different sources. Workforce analytics can provide greater insights into how reward policies can be better positioned to match employees’ demands. Combining the power of thriving employees with industry-leading data will allow organisations to stay abreast of trends and create a healthy environment in which employees willingly strive to achieve outstanding results.